The Unicorn Cake trend continues … which size is best for your next event? The unicorn trend seems to be picking up steam again with Spring and Summer birthday celebrations that just scream for bright colors, glitter, and gold! I had two unicorn themed cakes this weekend for different clients in different sizes. 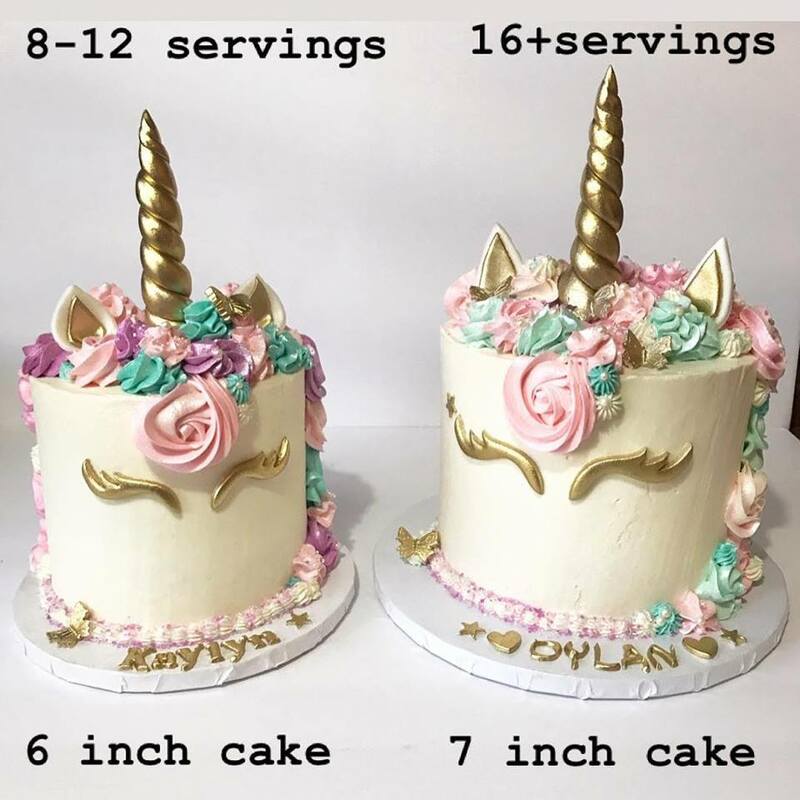 This gave me a great opportunity to provide future customers with a side by side visual of my unicorn cakes. Both cakes are 3 layers tall, and end up being about 6 1/2 or more inches high (not counting the horn of course). Serving sizes listed may vary, but if you use the cutting guide I provide, you will be sure to get the most from your cake. Need a unicorn cake or other celebration cake this Spring or Summer? Hidden Gem Cakes would love to make your special day even sweeter! Call or text Sarah at 480-395-3593 to get started planning your next incredible edible centerpiece!